Last week in our SEO Factoid Friday post we discussed “Which Social Media Site Contributes Most To SEO?” Through some careful evaluation of data and hard work by many SEO’s like ourselves out there it has been determined that Google +1’s are one of the highest ranking factors for SEO, especially on a local level, like here in Raleigh-Durham, NC. So this brings us to our topic this week, how to leverage and optimize your business’s Google+ page for Local SEO. Below you will find 7 steps on how to accomplish this for any business or industry. This is a pretty self explanatory point but one that many businesses miss. Linking to all of your other relevant social media accounts can be a huge help in expanding your networks across all platforms. It allows users to follow your other accounts and if they like your content or prefer a specific platform they can share your content easily to their networks. Don’t underestimate the power of using all social media website together as a business. Google+ may correlate highest with SEO rankings but other social media platforms are not far behind. The more you leverage the more you stand to gain. You would be surprised how many businesses we see that don’t understand the importance of this. Your profile is what determines how Google recommends you to people who might not be following your business’s Google+, how you show up in search results, and provides a better user experience. Local phone number, such as a (919) area code for any business in Raleigh or Durham, NC. In other words, put some effort into creating content that people actually want to read and share. Formatting is a HUGE factor in whether people will read your content or not. If they come to your article, post or blog and see a wall of text with no distinct headers, paragraph separations or even bullets of some kind people will click back and move on with their day. Make an article easy to read, digest and share and you can create a winning combo in a local market. Remember: Images speak louder than words. One thing that bugs me about content today is when businesses do not include an easy way to share their posts. If you are a content creator, one of the main goals is for the content to be shared natively on social media outlets like Google+. So it would make sense to add easy to use share buttons on your articles. This will increase the rate at which your content is shared which in turn, can increase SEO. People are lazy, play into that. 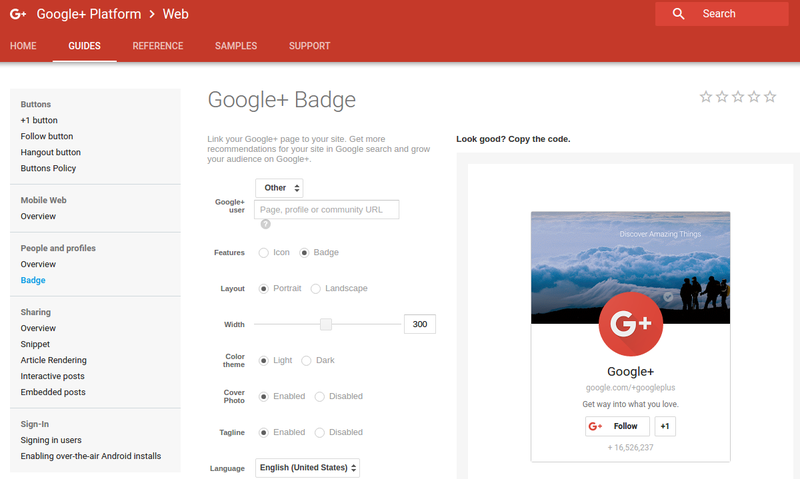 Google itself has an easy to use “button maker” that creates follow badges. These badges can be incorporated into posts, web pages, even newsletters to entice users to easily follow your business on Google+. 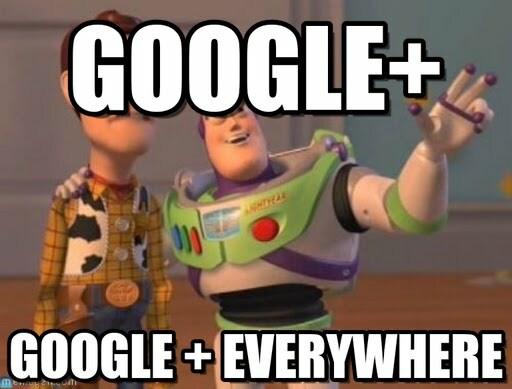 For our final and most important point, Google+ optimization can only go so far. 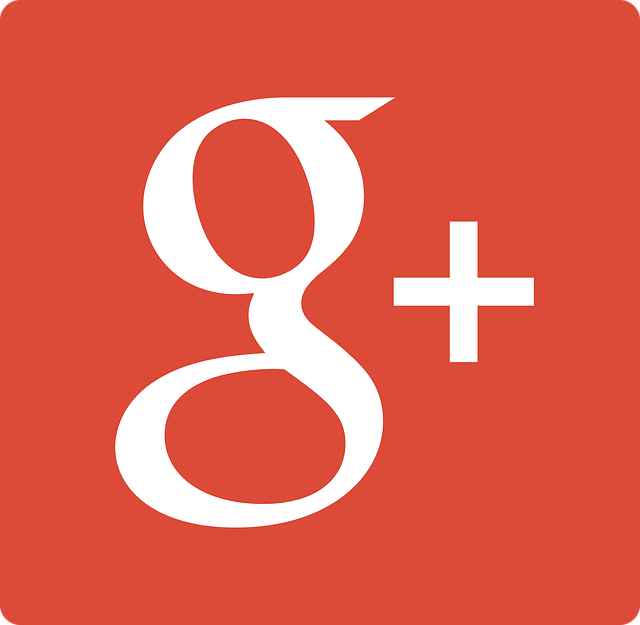 It is up to you as a business to create and nurture relationships on Google+. When you +1 or share other people’s content as a business, they notice that and are more likely to reciprocate the action (as long as you create good content too.) Social networks are currently, and always have been, about creating communities and Google+ is no different. If you want users or other businesses to share your content it’s never too late to start doing it yourself too. We're local to the Raleigh/Durham/Chapel Hill area known as RTP, we take in person meetings, and we love to help local businesses and organizations succeed online. Contact us today and let us know how we can help you. We're serving actual local businesses and organizations and they're talking about us online.